When Spotify and Pandora were starting their streaming services many were quick to point out that Apple was about to be disrupted. The future, they said, was streaming because (young) people could not be bothered with ownership of music and the limitations of a personal collection. Who would want to pay for a few hundred songs when they could listen to millions for free? This perception continued and became more vocal over the years. Seven years in fact. Spotify collected 20 million paying subscribers while Apple did nothing. 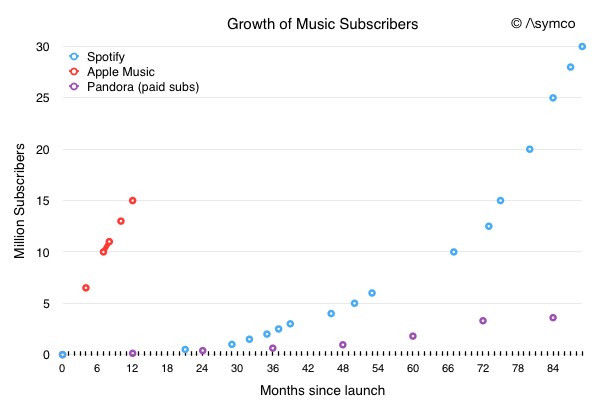 Pandora grabbed 80 million active listeners and possibly 4 million paying subscribers while Apple did nothing. The boat had sailed and Apple was not only not on it but oblivious that there was a boat in the first place. At first Apple launched a half-hearted streaming service and then a paid service finally showed up with Apple Music in mid 2015. Since then the company managed to add 15 million subscribers. 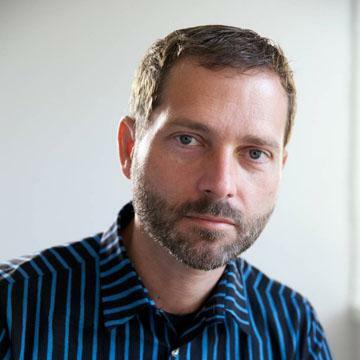 A tiny number compared to the 900 million iTunes accounts it had reported a year earlier. Pathetic. 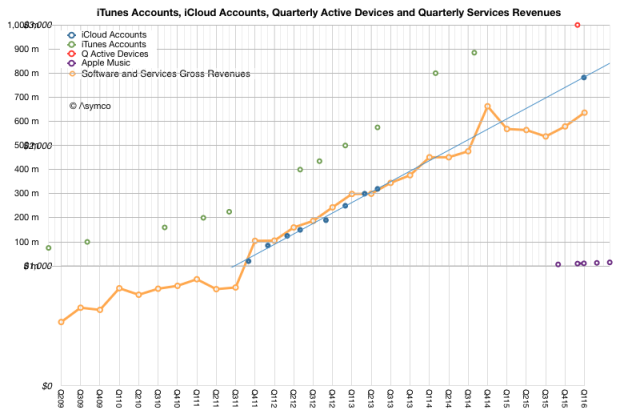 The number of music subscriptions relative to iCloud accounts, iTunes accounts and active devices is shown the the graph below. It may be paltry compared to the count of users Apple may have in total, but how does a 15 million user base in 1 year compare with the growth rate for the incumbents Spotify and Pandora? This is a cautionary tale for those who would pronounce every new idea as “disruptive” to Apple or anyone else on the basis of novelty alone. The tests for disruptiveness are easy enough and it behooves the analyst to apply them before dropping the d-bomb.